AV for You set up audio and lighting for a Minnehaha Academy performance event at the American Swedish Institute in Minneapolis, MN. 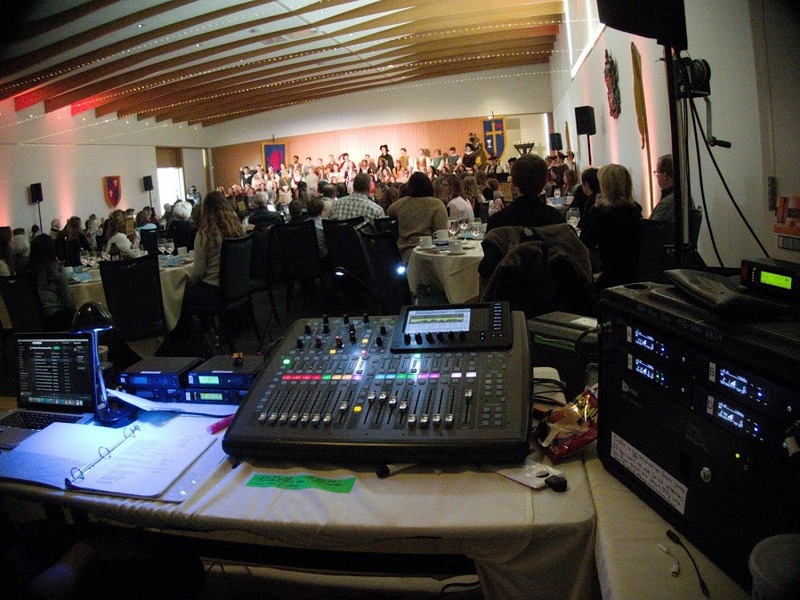 For audio we provided four QSC K10 Powered Speakers, four Audio-Technica Choir microphones on stands as well as two Countryman E6 Earset mics. For lighting we used four Chauvet Ovation E-910FC LED lights on our Global Truss ST-132 Tripod Crank Stands for stage wash. We also set up our ETC Smartfade lighting console to control the brightness of the stage wash.
At the tech table we used our Behringer X32 Producer, Behringer S16 Snake and Shure QLXD4 Distro Wireless Microphone Rack for clear and dependable audio.